Google Algorithm Updates – Were You Affected By The Latest Core Update? Have you ever watched one of those street magicians before, either in person or on television? The one thing that always catches people is they are so focused on ONE area, that they get robbed blind. Luckily, since it’s for a show, the “victims” get their stuff back. The magicians have them so focused on cards in their hands or other items, that they don’t realize they’ve had their watches slipped off their wrist, or even wallets pulled out of their pockets. Except for one BIG difference. You’ll be A victim (minus the quotes). And you aren’t getting your stuff back either (Stuff = Search Engine Rankings). Well maybe, but that’s a different conversation altogether. The unfortunate thing with these algorithm changes is if you aren’t careful, you could find yourself losing rankings for your own business websites OR your clients. 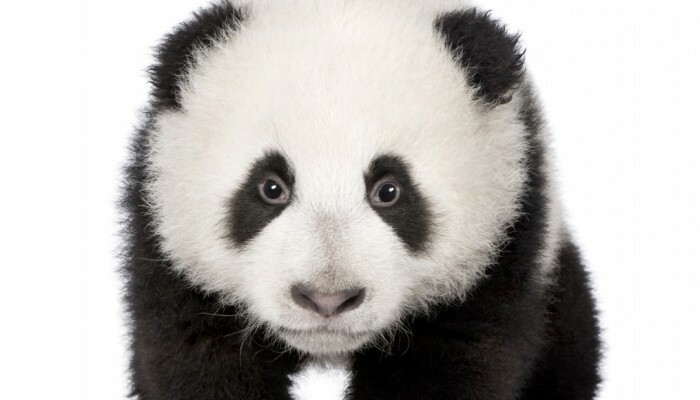 Past updates such as the Panda algorithm update left many completely dropped in the rankings. Some were completely dropped OUT of the rankings. Some were so affected and devastated by the Panda update that businesses literally had no actual business to speak of, overnight. Wait, should we say it again? Say that you run an online business and that the majority of your business comes from daily sales you get by occupying the top spots, for a few select and premium keywords. Now, what do you think would happen if you were dropped from the search engines completely? That’s right. No more business. Unfortunately, Google is the playground that EVERYONE wants to play on. It’s got all the cool kids, all the fun rides and leaves you wanting more. Here’s the thing though, Google KNOWS its their playground and for too long they let anyone come in and run amok. They aren’t doing that any longer and aren’t putting up with it either, which is why they have installed these algorithms over the years. They have done so to clean up their playground, ensure that only good people (or mostly good) are coming in AND that each person has THE BEST experience possible. They don’t want to build rides that people won’t ride. They don’t want to have people giving you the wrong directions or misleading you to the merry-go-round, when you REALLY wanted to ride the super slide. How many times have you clicked on a link in the top rankings thinking you were getting some relevant information, only to find it was NOT what you wanted or needed? These algorithm changes are really for the benefit of everyone – users, business owners and website developers. Google wants to provide the BEST user experience, giving searchers the information that they want, to make it as relevant as possible and providing extreme value along the way. Google also wants to reward business owners and website developers who are doing things the right way, giving them the rankings they deserve. Now, this leads us back to you and your websites (personal or your clients). Did you notice anything happen with your websites this past week, past month or past few months (depending on when you are reading this)? If you noticed some changes to your rankings without anything being done on your end, and are unfamiliar with Google’s algorithm changes or core ranking algorithm updates, then please take note. You have been infected, rather AFFECTED. This particular update was part of their core ranking algorithm, which was related to the Panda update that came out several years ago. The Panda Update was created to stop poor quality content from making its way into the top results. The latest update looked to be core search and core ranking algorithm related, which has the Panda updates already “baked” into it. What does this all mean, besides the fact that they DID actually use the name Panda? Well, this means that the “core” way that sites WILL get ranked moving forward will heavily involve the quality of your content. Poor content = Sorry, no top rankings. If you aren’t paying attention to the updates that Google puts into place on a regular basis, then you had better start doing so, ESPECIALLY if SEO is your thing. Rather than taking the hit and having to explain it later to your clients, wouldn’t it look better if you could warn them ahead of time? Paying attention to Google’s upcoming updates can also allow you to start moving in the right direction. There’s not much you can do about that, BUT there are things that you CAN do over time to help mitigate those types of situations. One of the things that come to mind is to do things the right way from the start. It’s easy. Stop latching on to fads that may be gone tomorrow and could get your site penalized. Do what works and what HAS worked over the long haul. Create quality content that your readers will LOVE and will SHARE with others (no search engine needed for that). If all you are doing is stuffing in keywords and not providing any substance, then you won’t be getting much in the way of customers OR loyal readers. Create quality content that your readers will get value from and will want to share, and of course use some “key” keywords. Get quality backlinks from relevant sites. Create your websites and content with your users in mind FIRST and the search engines SECOND. You may disagree with that, but what happens when you do that is you get a loyal customer base WITHOUT depending on the search engines. The wild west of the Internet is long gone, and what is returning are search engines that want to clean up the area of search, so that users get what they want AND need. If you have your hand in SEO in any form or fashion, it would serve you well to pay close attention to the updates that Google has put into place and WILL put into place in the future. Your business (and potentially your client’s as well) could be depending on it – literally.